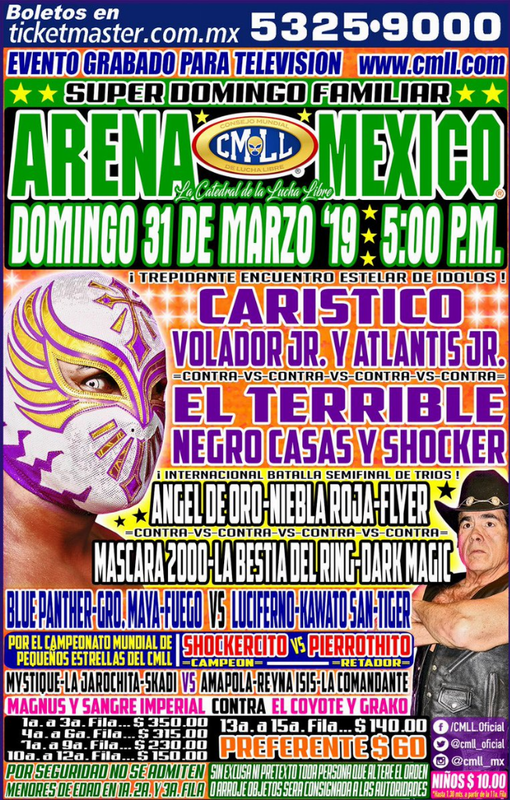 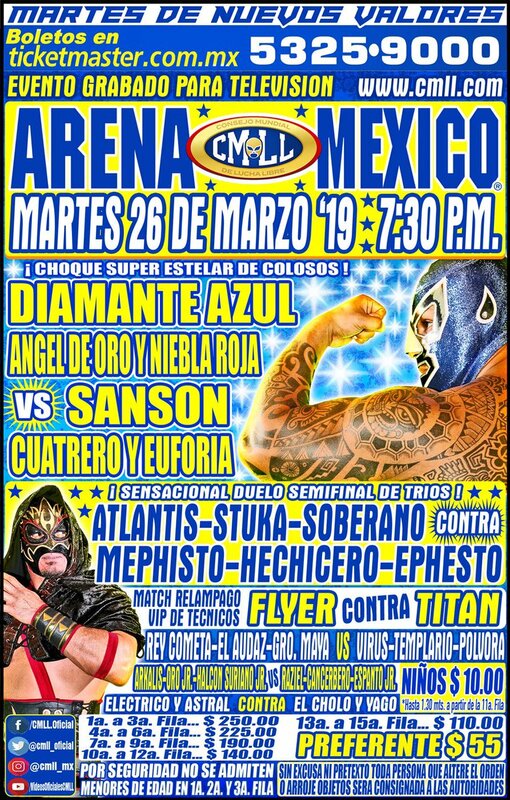 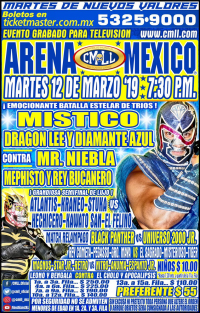 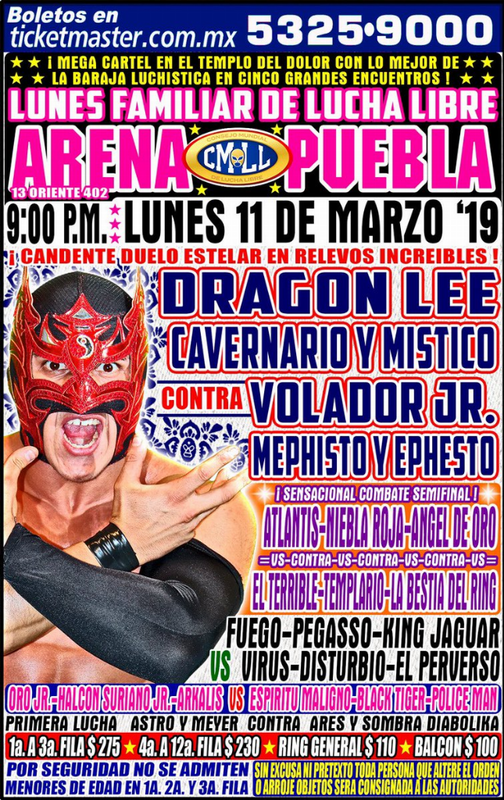 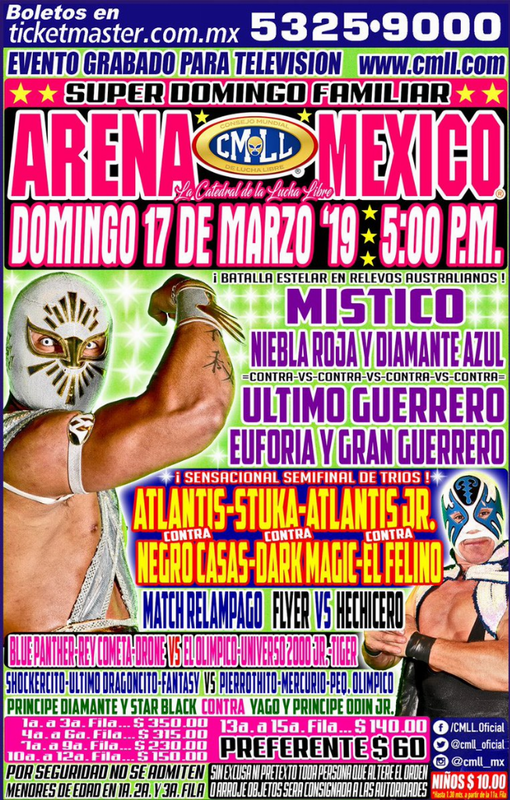 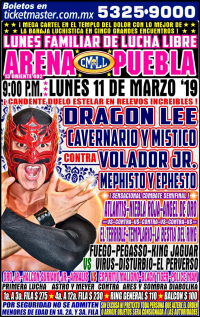 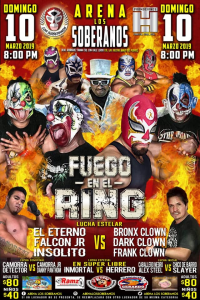 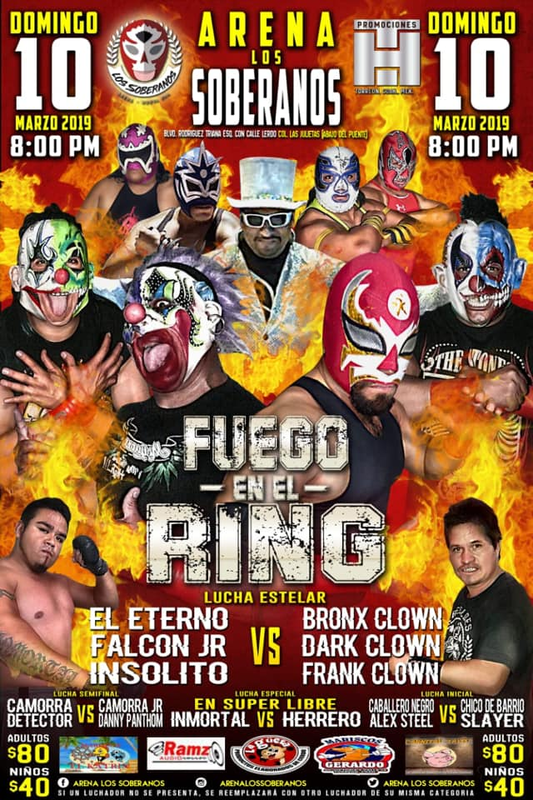 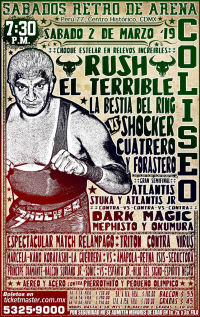 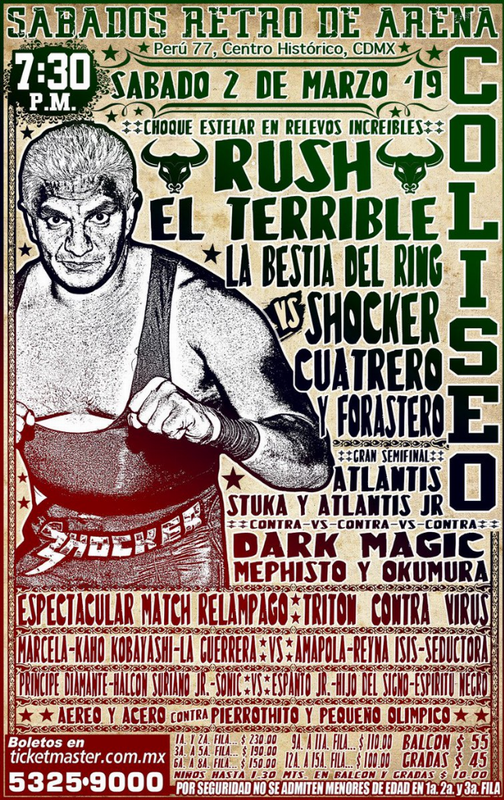 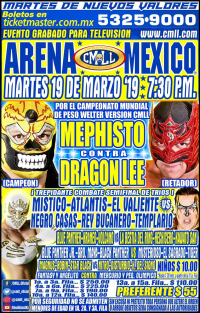 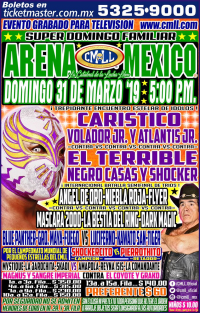 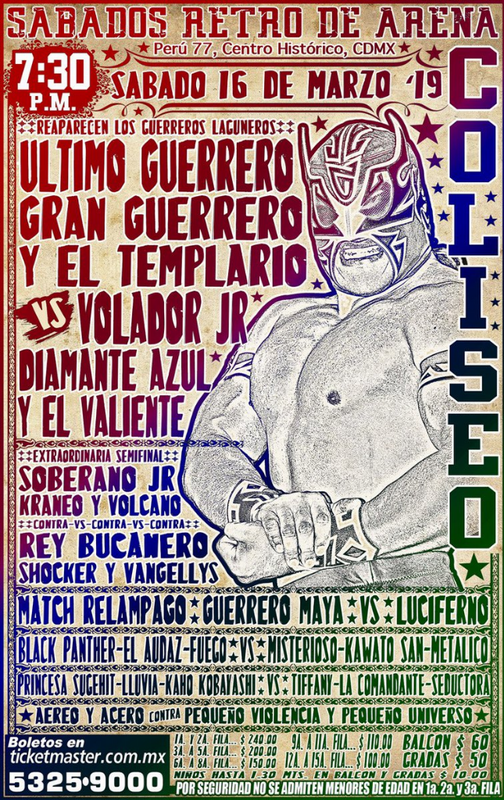 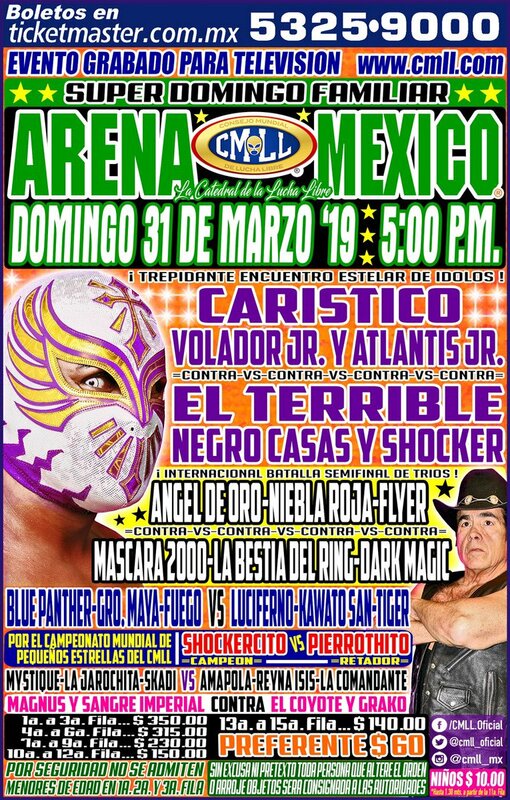 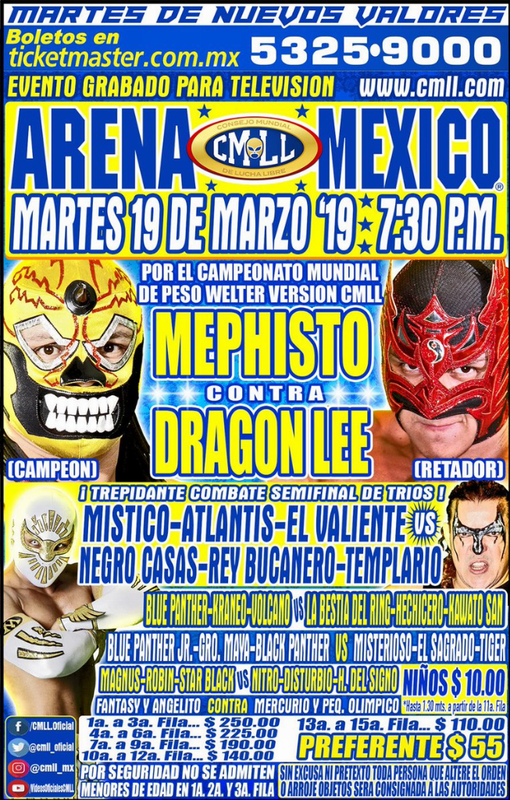 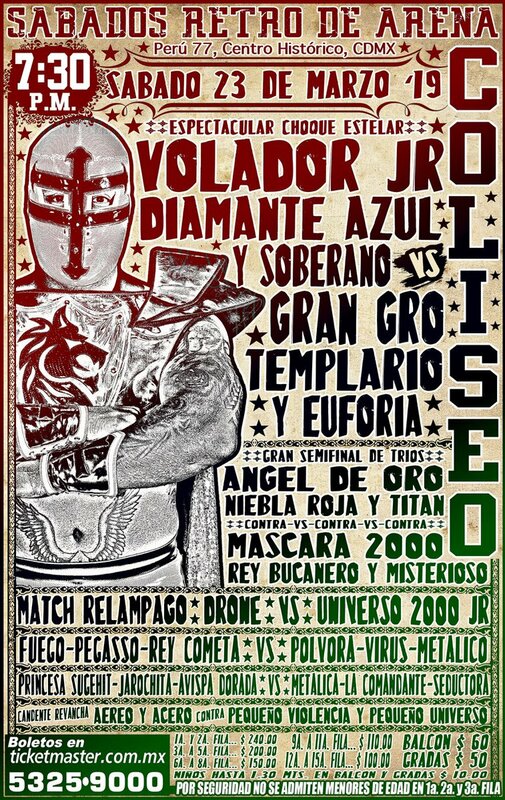 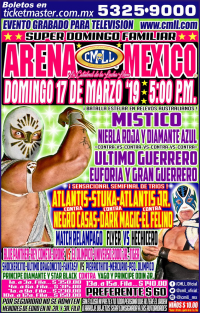 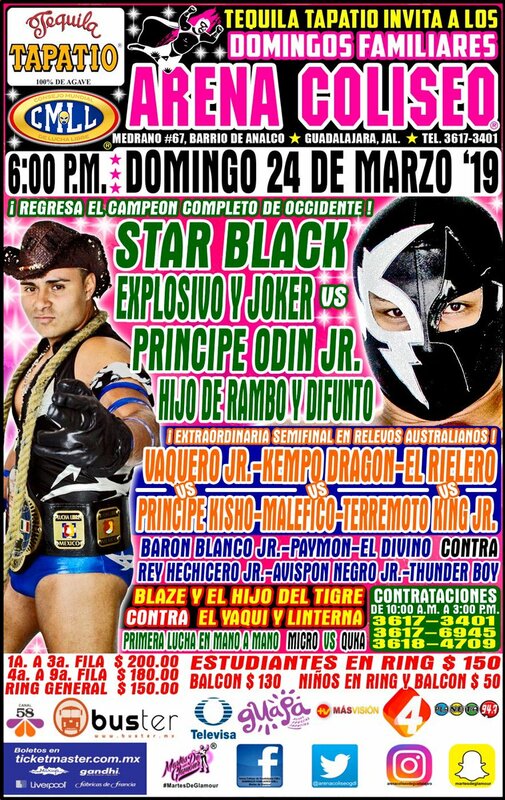 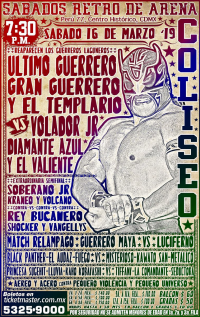 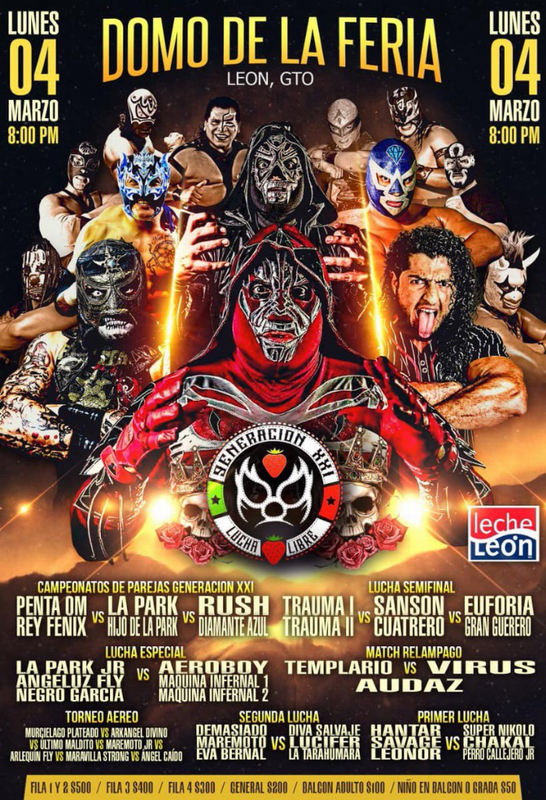 2) Ares, Disturbio, El Perverso b King Jaguar, Meyer, Oro Jr.
Stuka replaced Flyer. 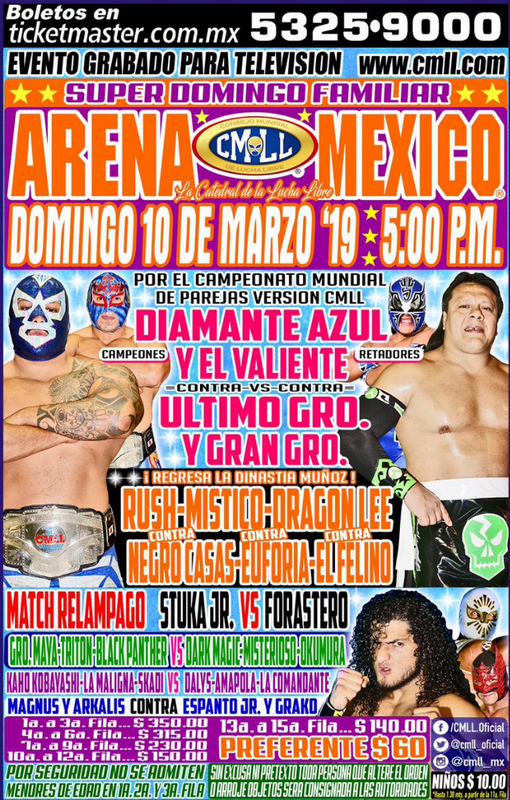 Rudos took 1/3. 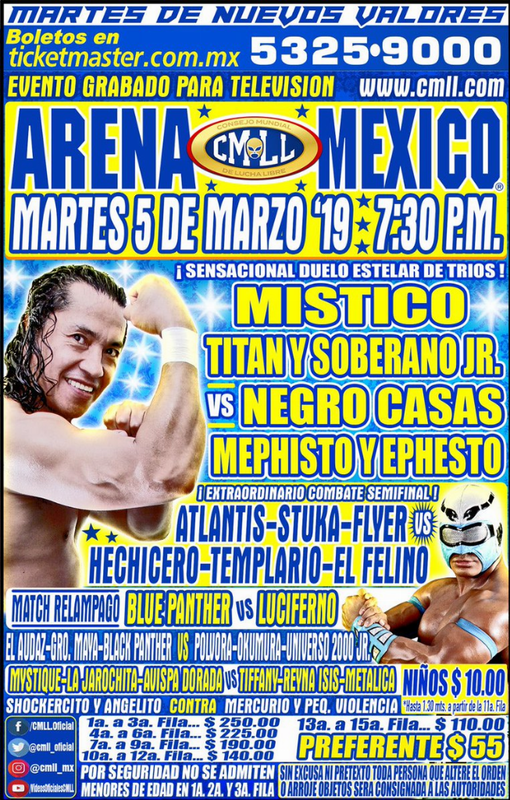 Tencicos took 2/3. 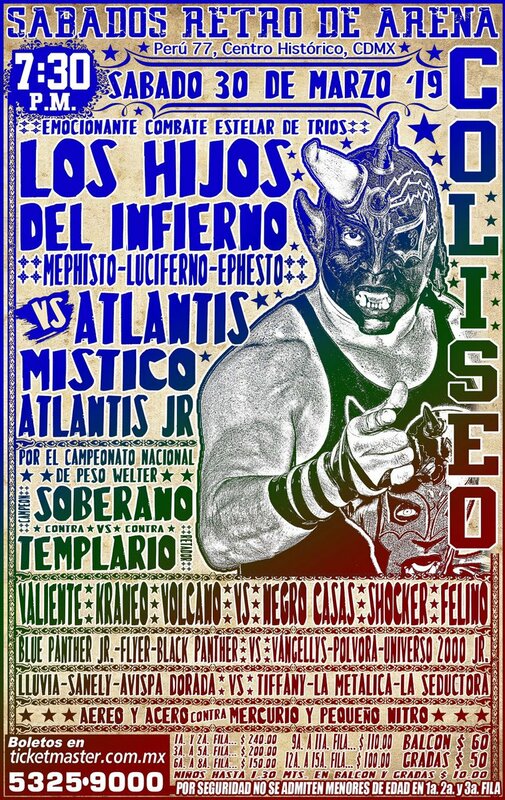 Mephisto fouled Mistico. UG took 2/3 despite Tirantes (and despite last week's promo being specifically about how Tirantes would not referee this match.) 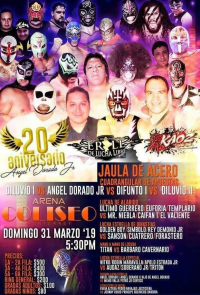 Second defense. 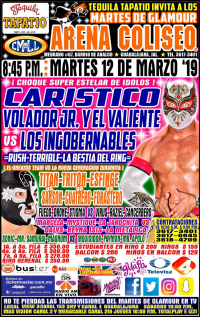 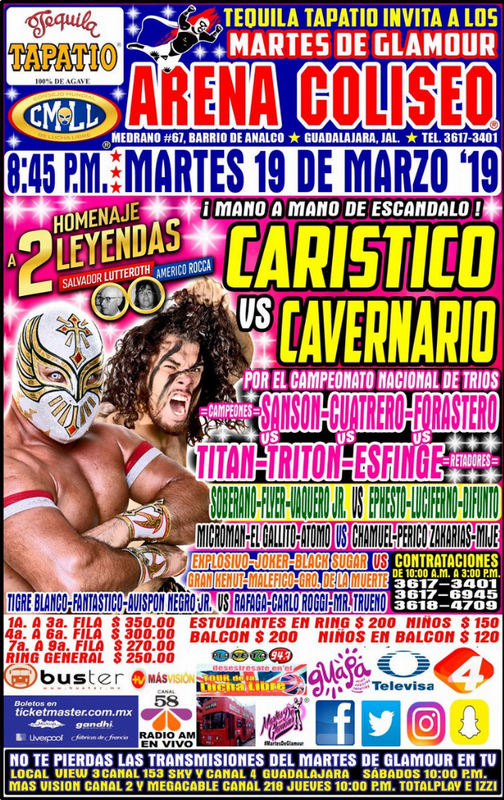 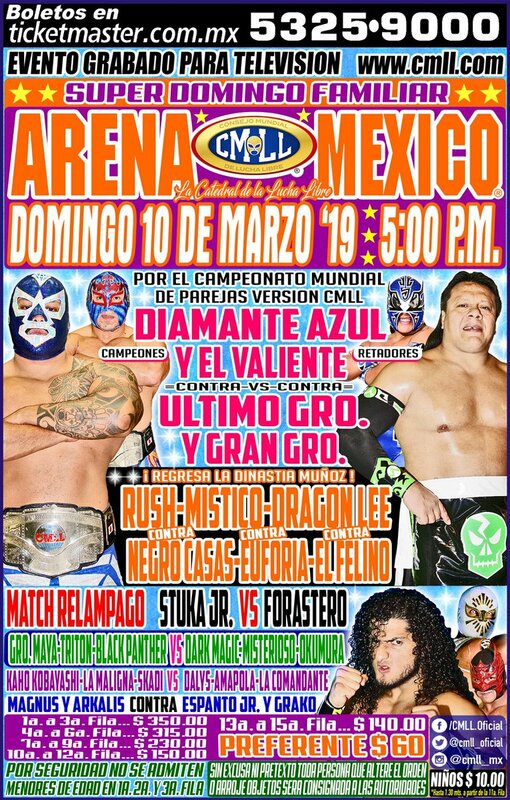 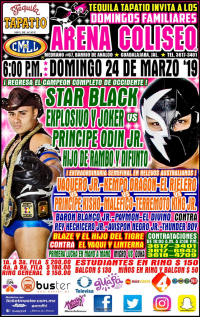 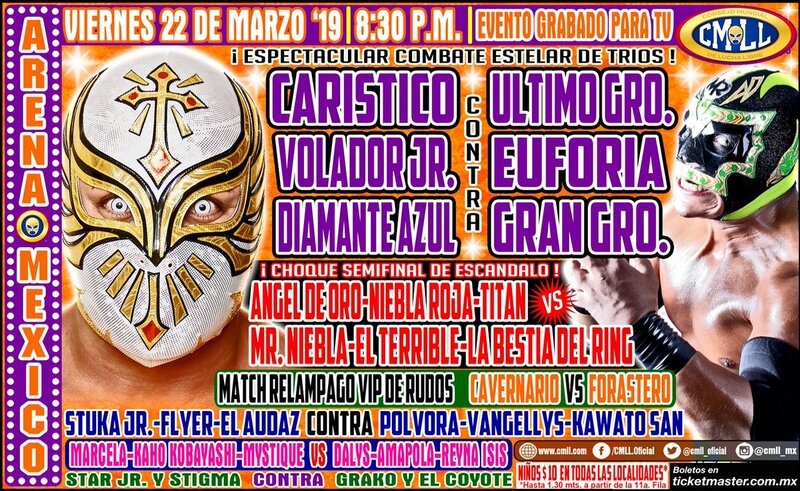 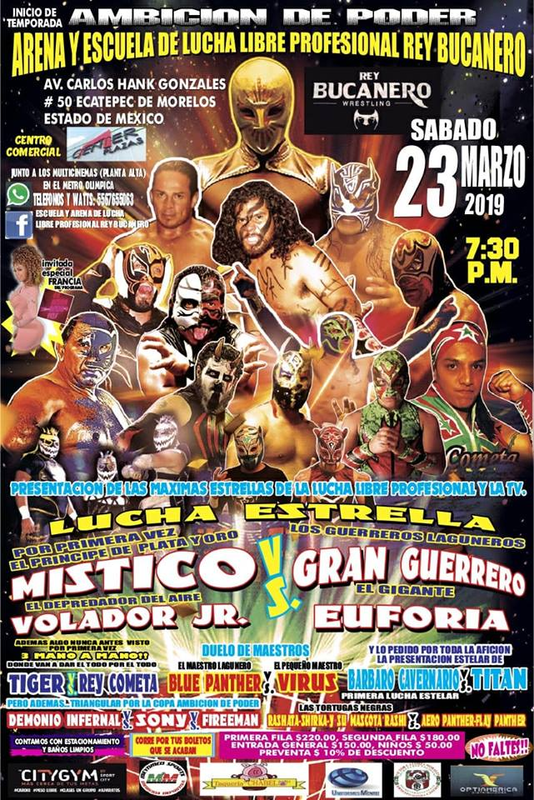 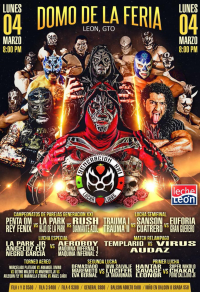 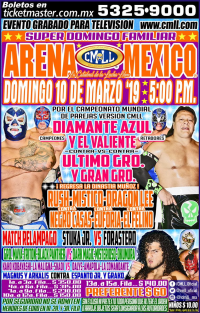 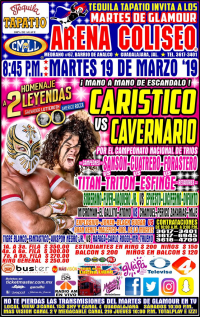 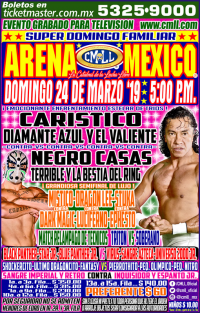 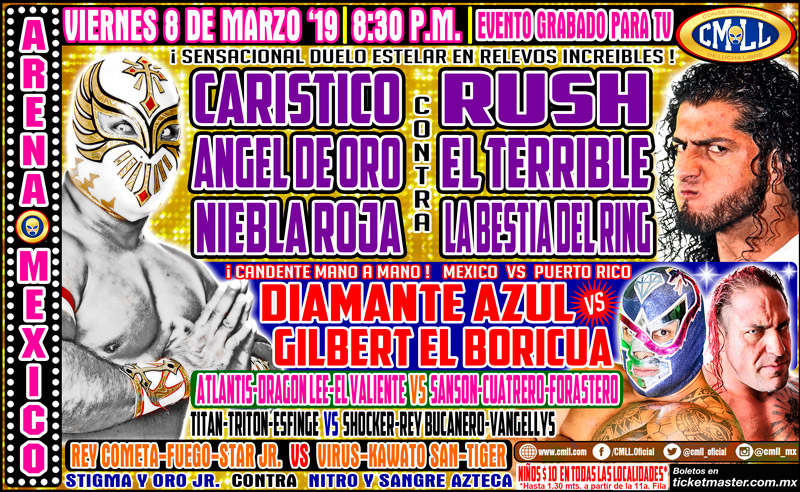 Rudos took 1/3, only losing the second by DQ, and Angel de Oro needing help after taking Bestia del Ring's cradle piledriver. 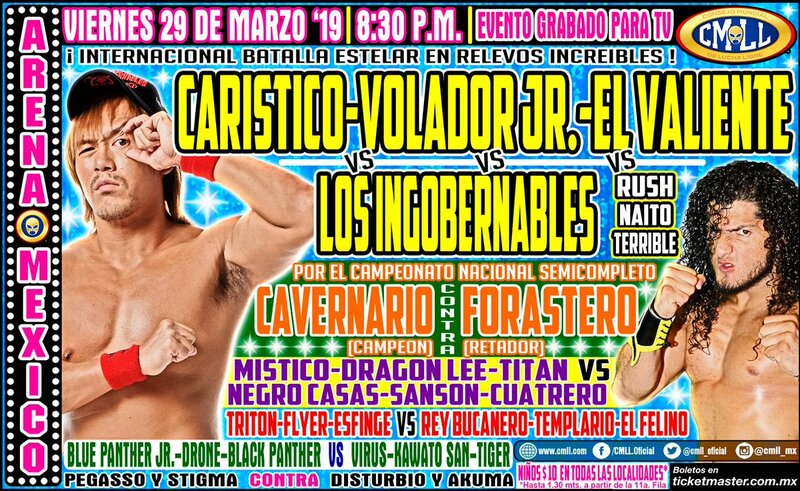 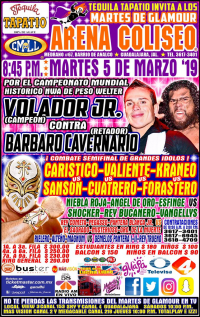 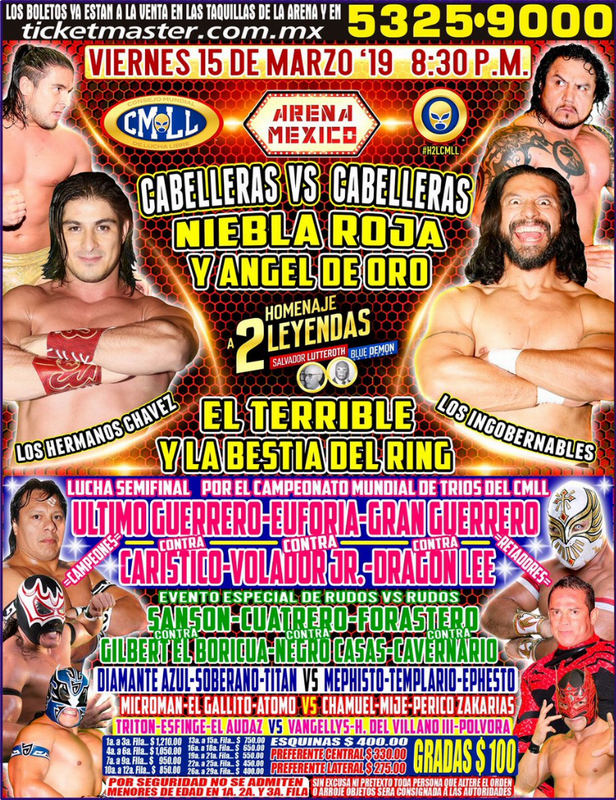 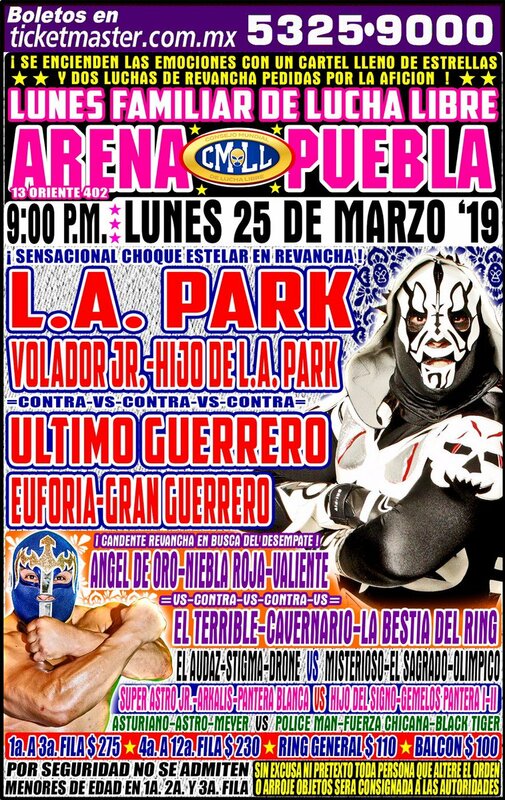 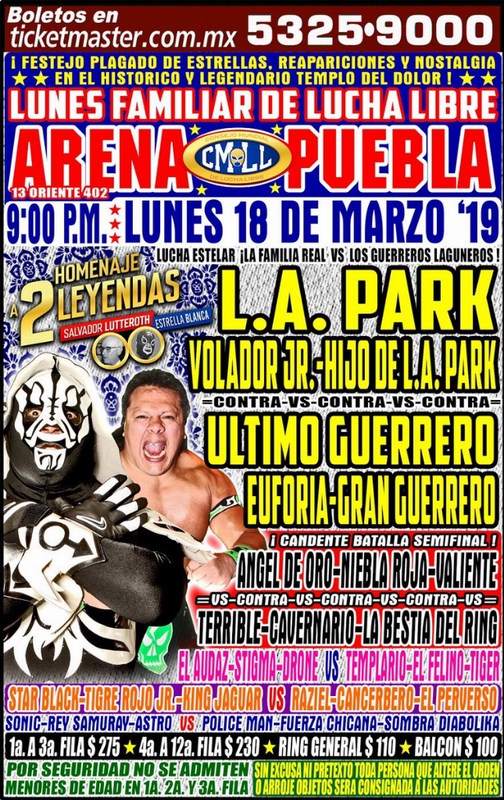 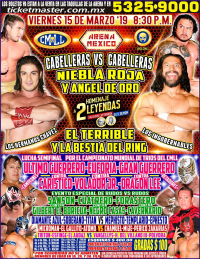 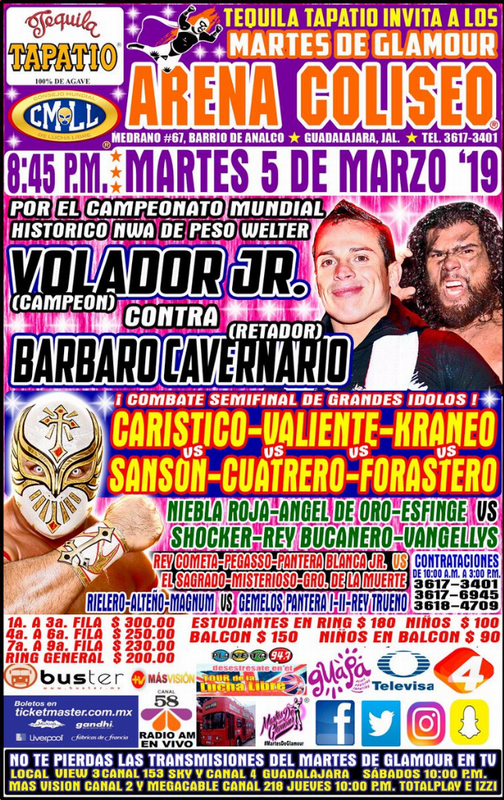 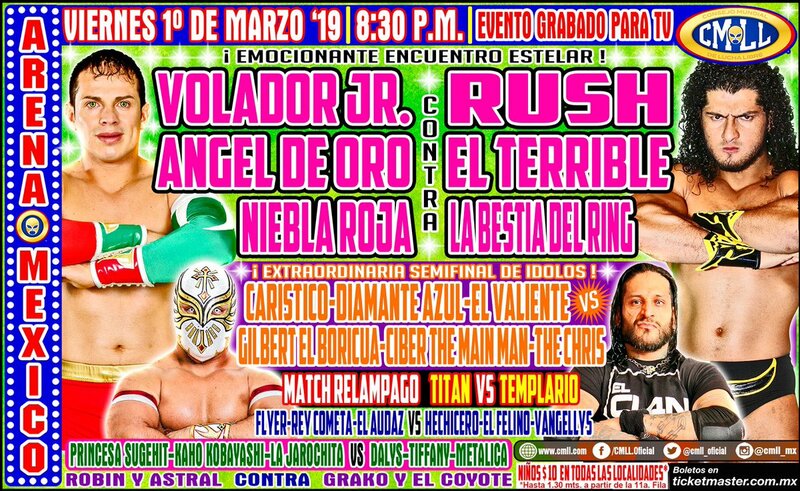 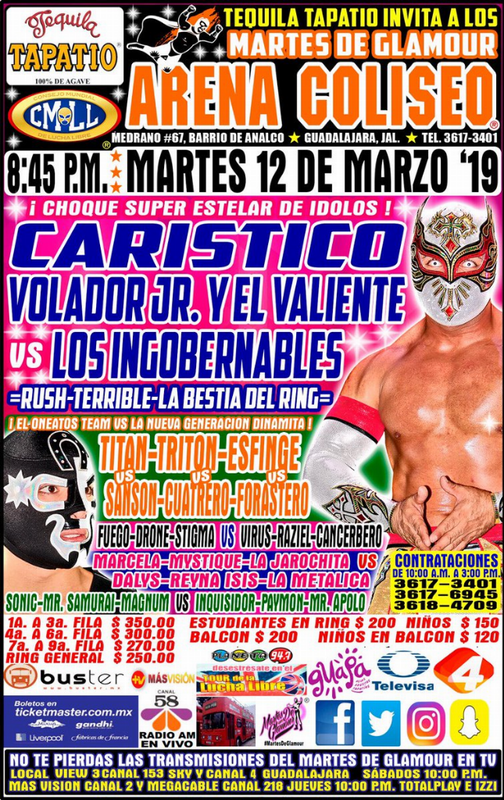 Volador worked as a rudo, and took 1/3 cleanly. 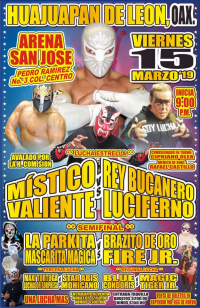 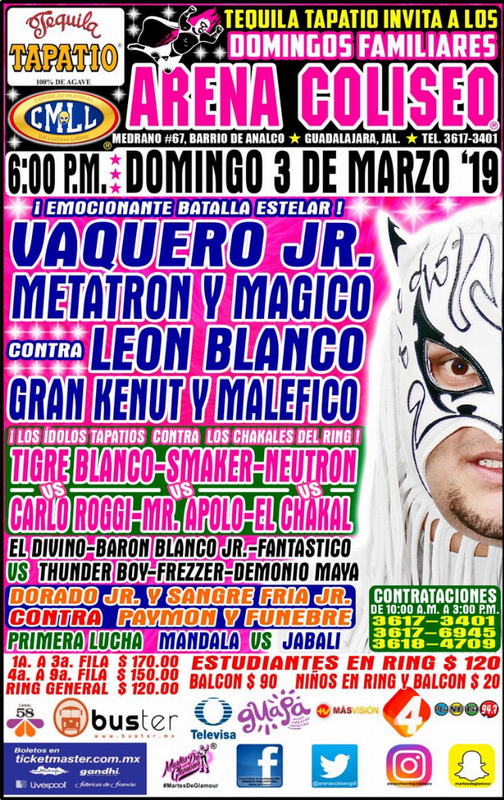 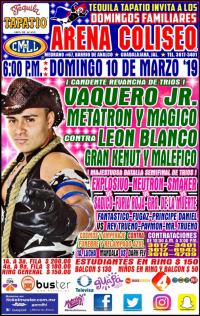 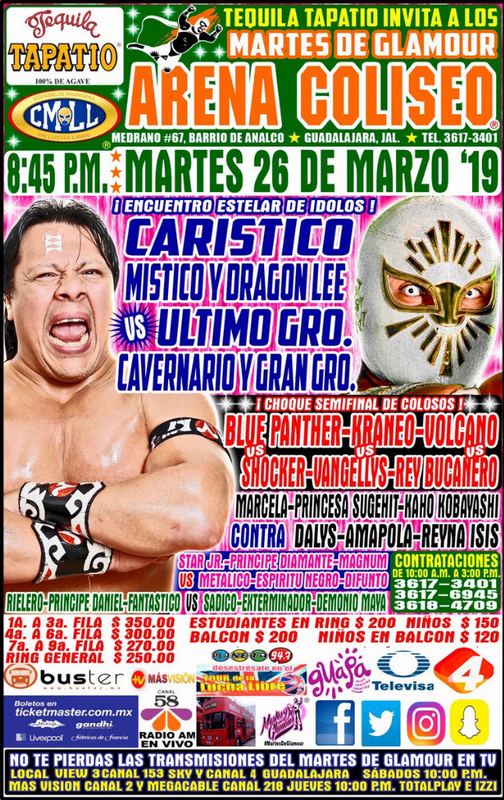 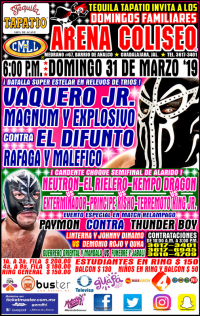 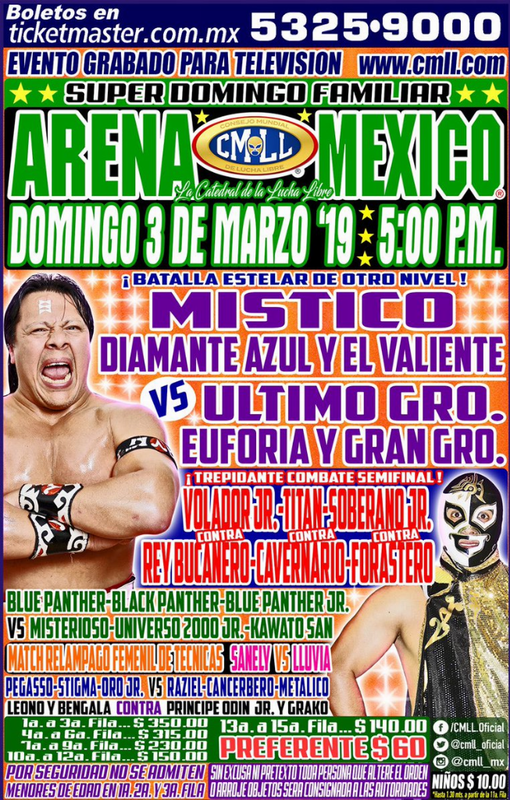 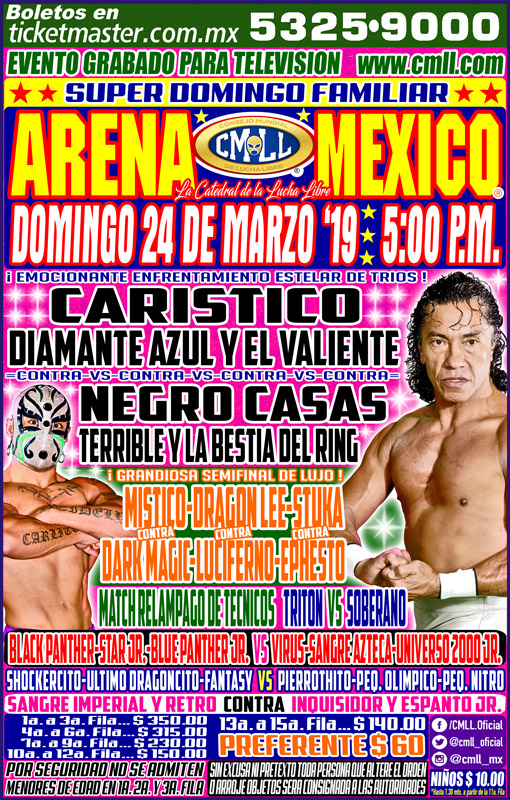 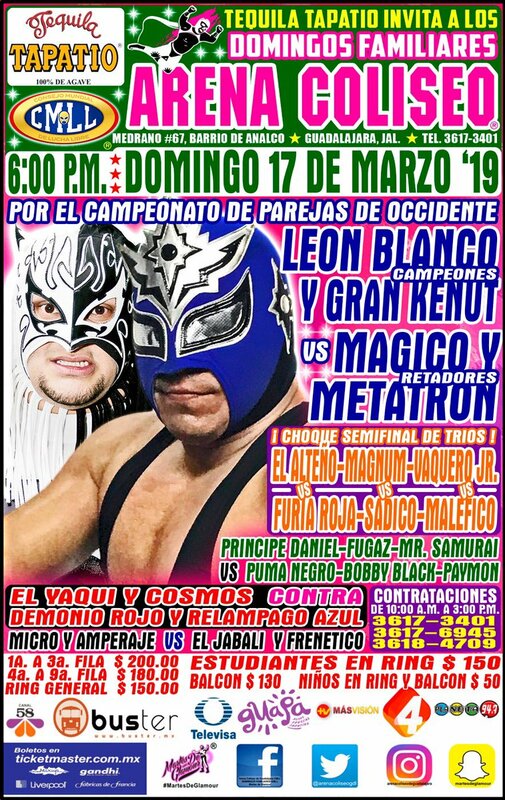 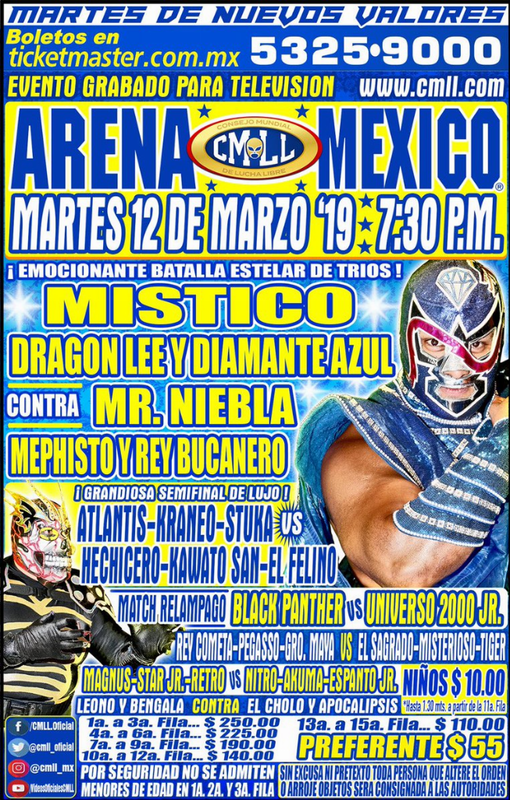 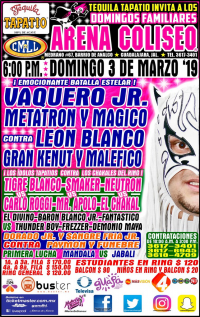 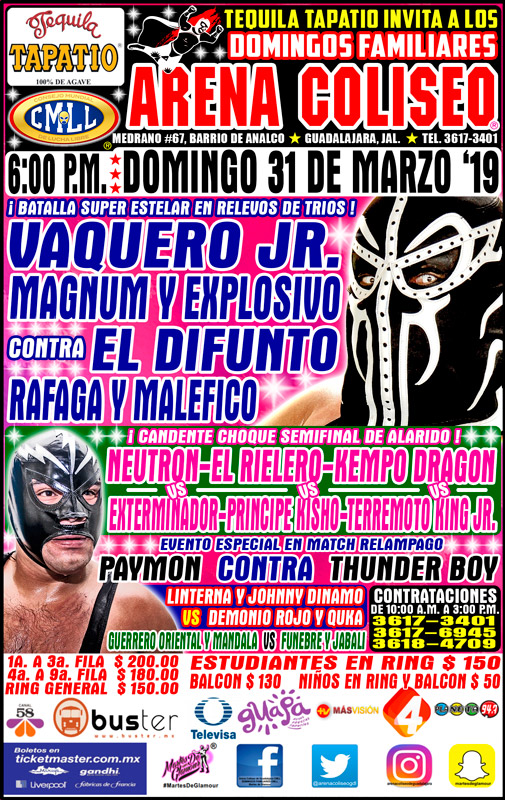 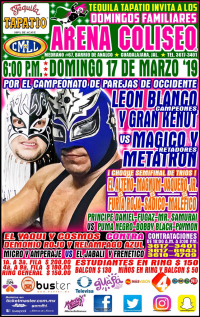 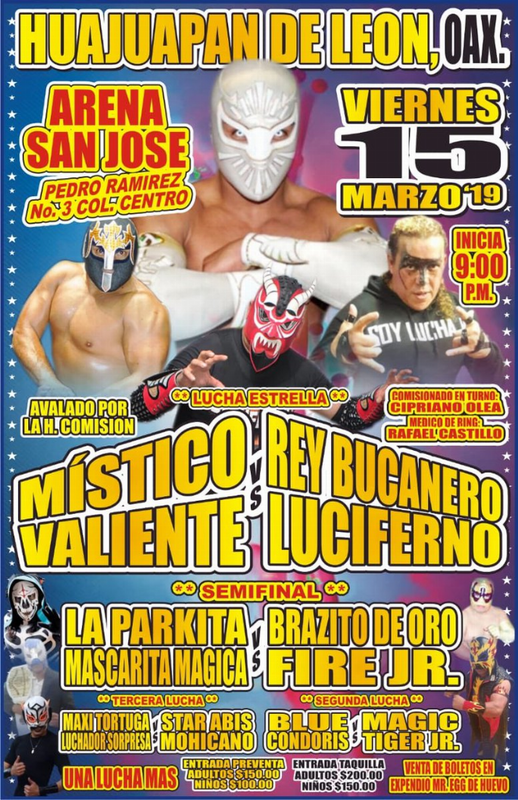 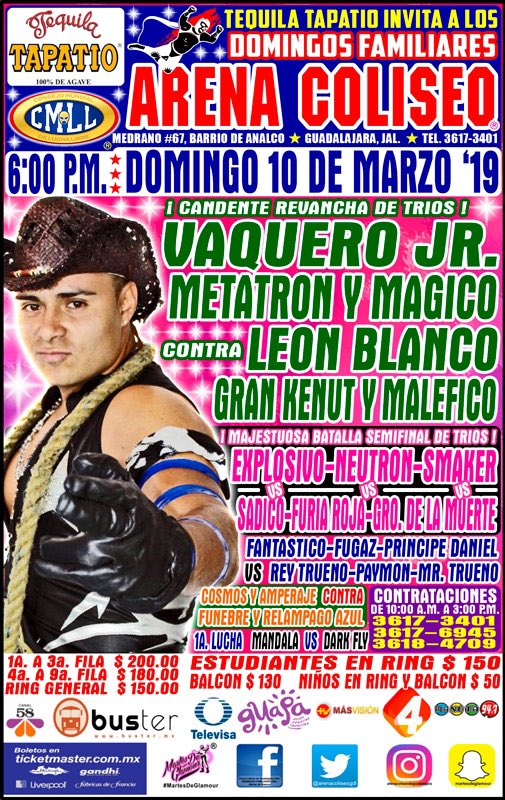 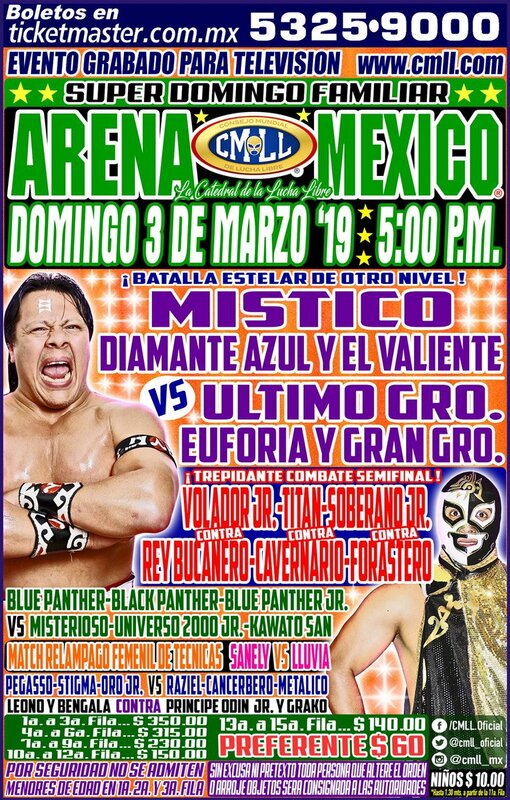 1) Blue Condoris vs Magic Tigre Jr.
3) La Parkita & Máscarita Magica vs Bracito de Oro & Fire Jr. 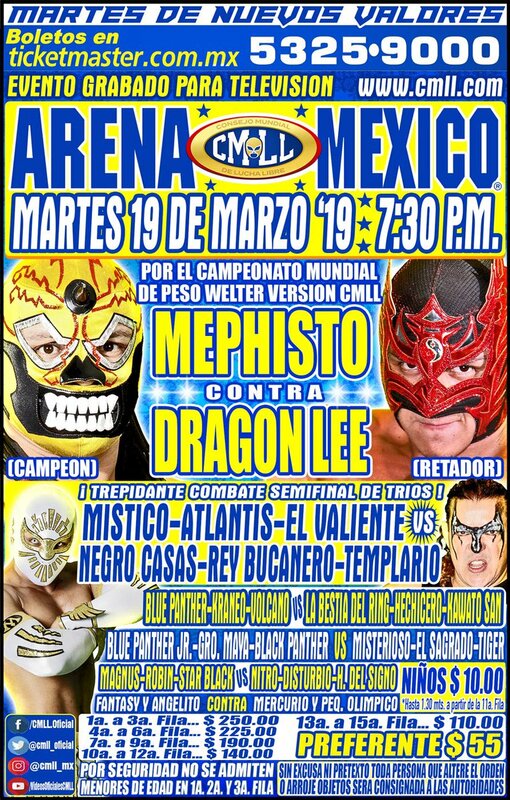 Terrible wrestled despite the shoulder injury. 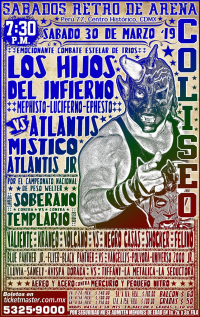 Rudos took falls 1, tecnios took falls 2, Niebla Roja & Bestia went to a double pin in the third. 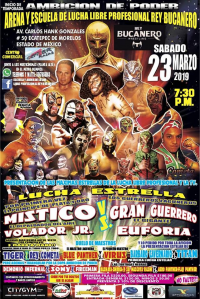 Event Notes: First show of the season. 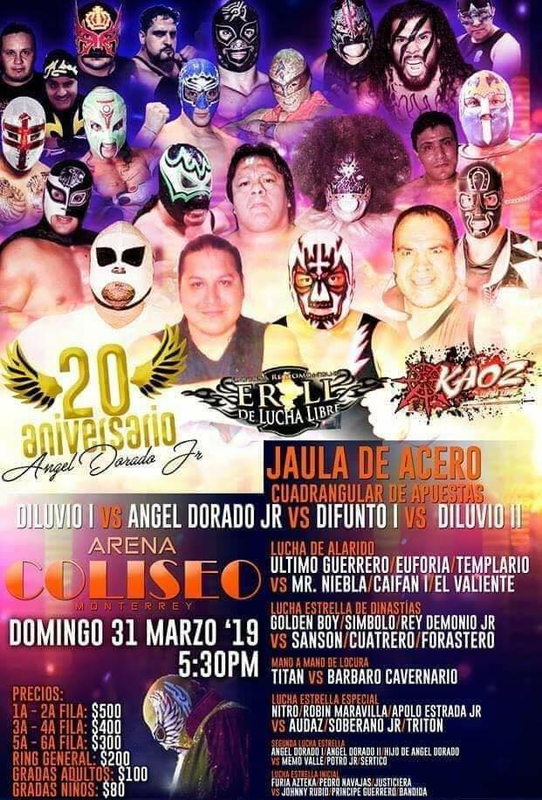 Full house. 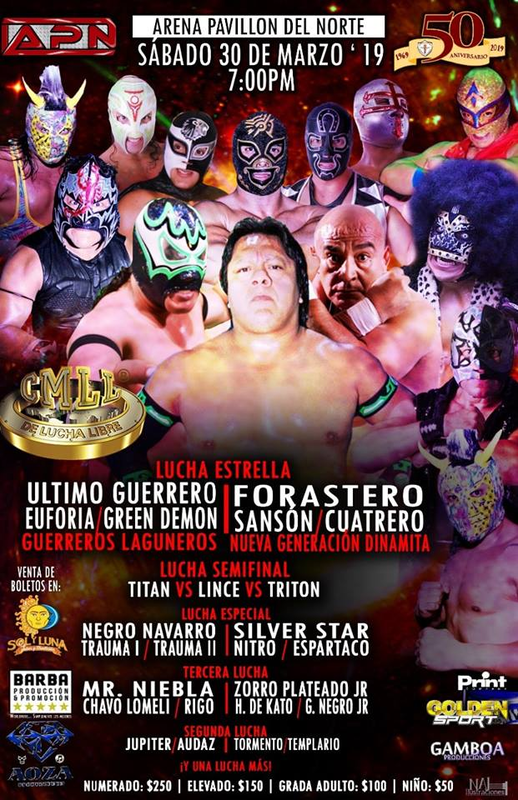 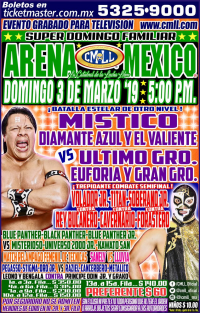 5) Euforia, Gran Guerrero, Último Guerrero b Hijo de LA Park, LA Park, Volador Jr.